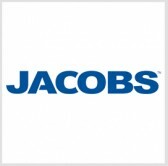 Jacobs Engineering Group has secured a contract to deliver design and engineering services to a New Jersey Transit project that aims to establish a microgrid to help power rail system transit infrastructures in the event of power outages. The company said Wednesday it will help design a central, natural gas-fired power plant, connections to the PJM commercial grid and substations and associated track and operating system distribution lines as part of the NJ Transit Microgrid effort. Jacobs will also deliver regulatory and economic advisory services, conceptual and preliminary design, procurement assistance, design-build contract packaging and construction support for NJ Transit- and Northeast Corridor-operated rail systems. “NJ TRANSITGRID is set to make a tremendous difference in the lives of the commuting public during the times when they need it most when events disrupt New Jersey’s critical infrastructure, isolating the local population from their jobs, families, and other important services,” said Randy Pierce, Jacob’s senior vice president for buildings and infrastructures.